Mastiff toy is designed for active pets. 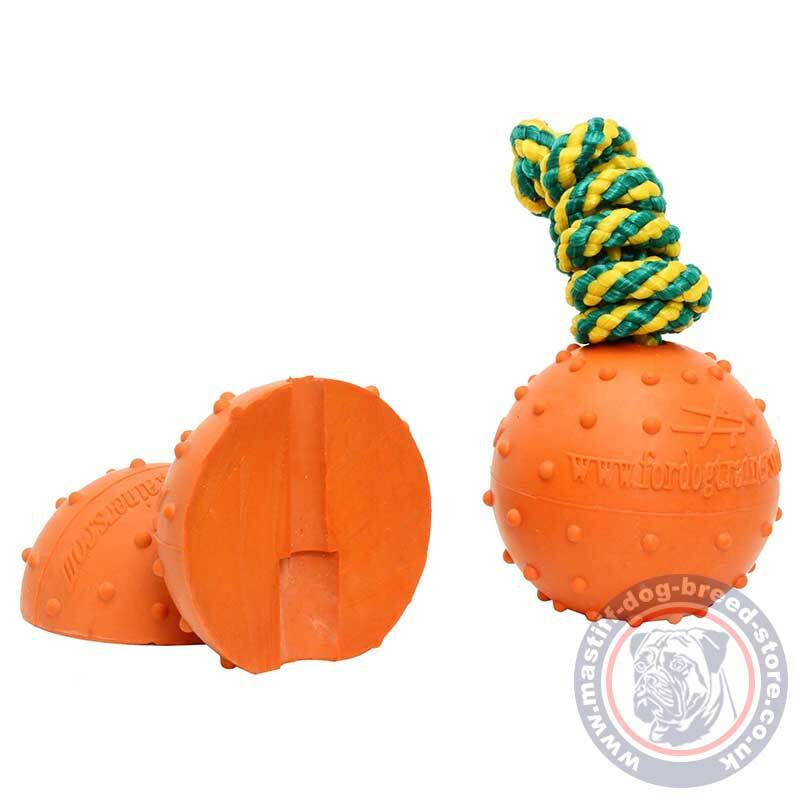 It is a bright dog water ball made to be non-sinking in water and strong for dog teeth. The rubber ball is solid. Mastiff toy has a rope for interactive dog games, playing, fetching and towing. It is an interesting Mastiff toy to entertain your dog and to make a daily walking jolly, interesting and cheerful! This dog water ball is a perfect choice if you are living near the seashore or river, lake bank to play with your pet and not worry that you will lose its favourite toy! The bright design makes it easy to find the Mastiff toy in grass.